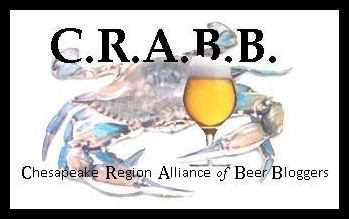 In October of 2008, Beer Activist and Maryland resident Chris O'Brien suggested a loose alliance of mid-Atlantic area beer bloggers. It sounded like a viable idea to me. For acronym purposes (see below), we dropped mid-Atlantic in favor of Chesapeake. And for wieldy purposes, we limited participation to beer bloggers in Maryland, Virginia, and the District of Columbia. From the six original charter members —and losing a few who have since put away their keyboards— there are 11 writers participating as of July 2010. 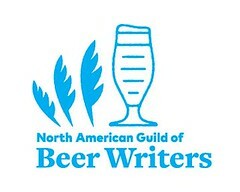 If you publish a beer blog and you live in the tri-jurisdictional area, drop me a line, or leave a comment, and we'll discuss adding your blog to our alliance. On hiatus. In June 2010, after publishing one beer haiku every day for five years, Beer Haiku Daily has taken a breather. Honorary. Heavy Seas Brewery's Hugh Sisson. 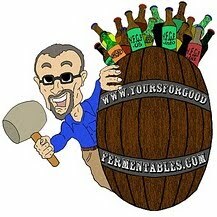 Brewery blogs considered a separate category. More: here. Honorary. Rob Kaspar of the Baltimore Sun at his blog Kaspar on Tap. Posts infrequently. More: here. Graphic created by Eric Delia of Richmond, Virginia, beer blog, Relentless Thirst. Okay, Tom, drop me the HTML or whatever and I'll see if I can get Blogspot to cooperate with me and let me add the same to my blog. You might also want to add Lew Bryson's blog; he definitely covers out turf, at least sometimes. Sounds like a great idea, as a former resident of the area I know I'd be interested in reading from such folks, though since I am in Raleigh I don't meet you guidleines, good luck with it! How do I get the C.R.A.B.B. sidebar widget for my site? Blogger has a "gadget" that does the work. If you publish with a service other than Blogger, simply listing the blogs with links would work. I'm certain, however, that there are widgets out there that would act as publishable RSS aggregators. I'll look. Hey, how come I'm just finding out about this?